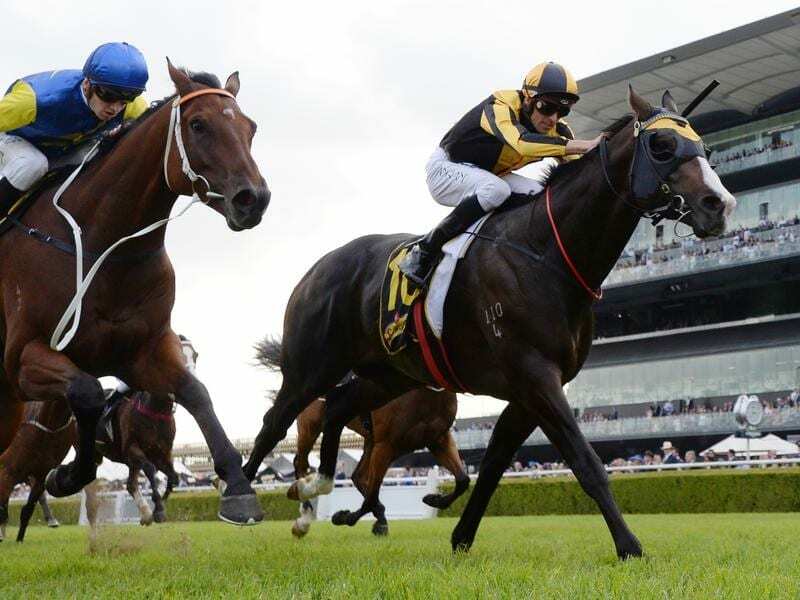 Trapeze Artist (r) is primed for his first-up assignment in the Expressway Stakes at Rosehill. Trapeze Artist is ready for game day with trainer Gerald Ryan declaring him exactly where he wants him ahead of his defence of the Expressway Stakes. Last season’s champion colt courtesy of his three Group One wins, two at weight-for-age, Trapeze Artist will be having his first start since his second in The Everest when he lines up on Saturday over 1200m. The Group Two feature at Rosehill is slated to feature fellow Group One winners Hartnell, Alizee and Le Romain. Trapeze Artist ran fourth in a barrier trial last Tuesday week and Ryan had the option to give him another at Randwick on Thursday but decided against it. “He has been working well so I decided against it,” Ryan said. The four-year-old will follow a similar path to last year with the Apollo Stakes and a clash with Winx his next step after the Expressway. All going well, Royal Ascot looms as a possibility in June. Trapeze Artist was inoculated last year in the hope he could go to the Hong Kong International meeting but with quarantine restrictions still in place for Australian horses, he would not have been able to return for the autumn. “(Owner) Bert Vieira would like to take him overseas and so Royal Ascot it a possibility,” Ryan said. Godolphin’s Alizee and Hartnell trialled on January 15 and 24 respectively while the Kris Lees-trained Le Romain has had two trials this month at Wyong and Newcastle.